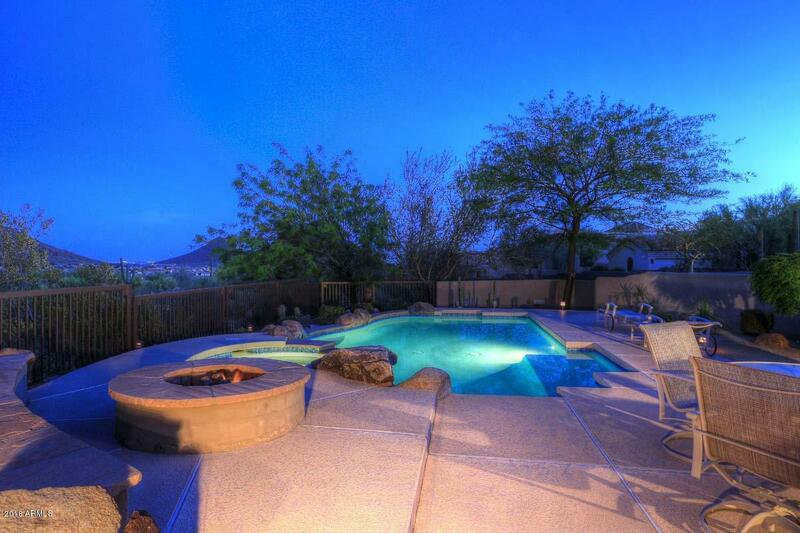 One of the most stunning view backyards you will see. 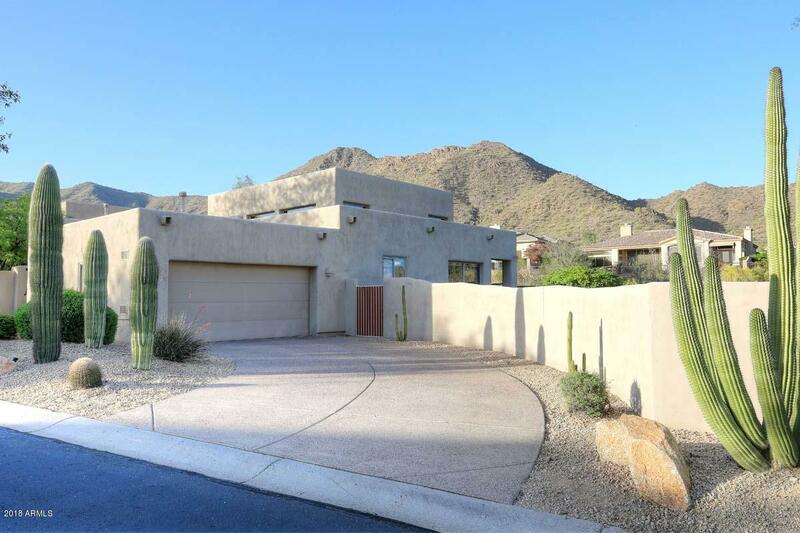 Heated pool & spa back to deep wash and the entire lot overlooks the mountains with city light views. Elevated gas firepit, BBQ with buffet, covered patios, & fabulous sound system in & out make this an entertainers dream. 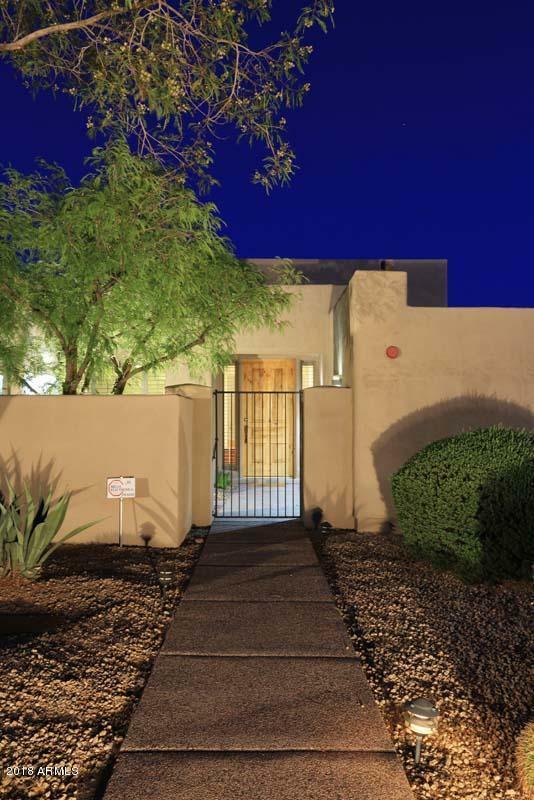 Wonderful curb appeal with mature saguaro cactus, side entry garage, gated courtyard & neighbors only on one side. Soaring ceiling in Great Room with wide plank wood flooring, gas fireplace & built-in bookshelves with spectacular views. 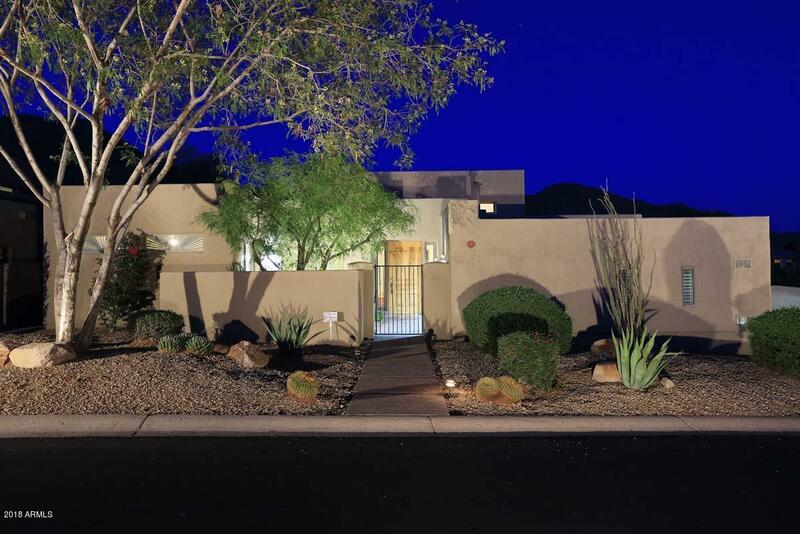 Kitchen opens to Great Room with built-in desk, double ovens, new refrigerator & gas cooktop. Third bedroom has a doorwall to courtyard. Newer dual system heating & cooling, water softener, water heater , garage door opener, washer & dryer. Equipment for sound system conveys.